Shopping at shoe zone is always pleasant. All pairs are kept together, therefore we are not wasting time for the other shoe. Evetythi g is arranged well and its not difficult to look for what we want.the softline shoes are the best. 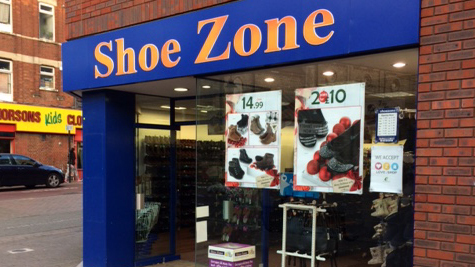 SHOEZONE IS MY ZONE WHEN IT COMES TO FOOTWEAR.Keep up the good work. Customer service was excellent took charge of my needs and helped me find my shoes to suit my situation. I was impressed how clean and clear stock was laid out.